Inspiration For This Hotel Comes Naturally. 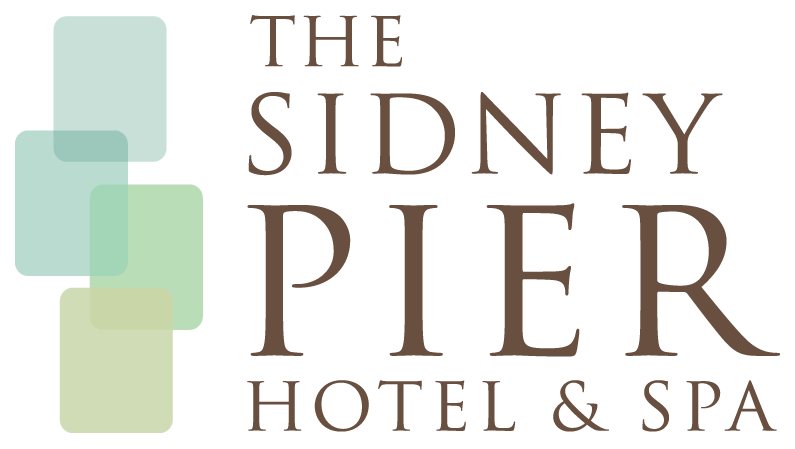 The Sidney Pier Hotel & Spa is committed to sustainable practices that preserve the delicate balance of our natural environment and its resources. Our mandate is to apply eco-friendly criteria to all of our decision-making. By minimizing our ecological footprint, we hope to set an example for responsible and sustainable Tourism that others are inspired to follow. Customized geo-thermal heat pumps warm and cool the building by borrowing and returning excess heat from the ocean, reducing energy consumption by up to 60%. Heat Recovery Systems are used in the kitchen and laundry facility for hot water generation. Solar shading and low-e glass have been installed for higher efficiency and to reduce the impact of direct sun exposure. LED lights are used throughout the building, reducing energy consumption and maintenance costs. Liberty & Green amenities are proudly featured in refillable dispensers throughout the hotel, including all guestrooms, suites, spa, and public washroom facilities. Tyneham products are sodium-laurel-sulfate free and scented with pure essential oils. Computers and fluorescent lights are turned off when offices are not in use. Resumes and employment applications are stored electronically to reduce paper consumption. Low flush toilets in guestrooms to reduce water consumption. Organic & environmentally sensitive products are used in the spa & salon for treatments as well as for retail. Haven Spa also supports suppliers who use recycled packaging and donate a portion of their profits to charity, and is a designated Green Circle Salons. Organic matter from our kitchens is sent to Re-fuse, a local company that turns it into compost that is then used for green space. Employees to car-pool when possible and ride-share programs are coordinated for all staff events. BC Transit bus passes are subsidized by 50% to encourage a more eco-friendly way of commuting. Shuttle service is offered to guests during peak summer, in an effort to promote eco-friendly travel. Reusable microfibre cloths are used by the Housekeeping department to help eliminate waste. Enviro-friendly Ecolab cleaners are used to help increase safety, lower the use of water and energy, and reduce the chemicals and waste released to the environment. These products include: glass cleaner, bathroom cleaner, neutral floor cleaner, all purpose bactericidal cleaner and air freshener. Ecolab Formula One is used for the in-house laundry process. The product is concentrated in small capsules, which means less waste and minimal chemical contact. Formula One claims to reduce the wash cycle by up to 30%, water costs up to 18%, and energy costs by up to 25%. The other cleaning system employed is Oasis Pro, which is non-combustible, non-corrosive and non-toxic to humans when diluted for use. It is also safe for aquatic life when diluted, and contains no chlorine, NPE, EDTA or NTA, with VOC levels under 1%. Free of known carcinogens and reproductive hazards, the product comes in small collapsible bags that fit into an automatic dispenser, preventing additional waste. Star Power degreaser is used for its non-flammable, biodegradable, and environmentally safe properties. Bio-degradable Accelerated Hydrogen Peroxide (AHP) is used to clean the Haven Spa steam room facilities. In addition to recycling the basics (paper, plastic, cardboard, glass and cans) in all guestrooms, suites and offices, cooking oil from our commercial kitchen is also recycled and reusable nail files are sterilized in the spa to reduce unnecessary waste. Eco-minded employees and customers who utilize travel mugs and forgo the convenience of a paper cup are offered a discount on their coffee and tea in Georgia Café & Deli. Guest Reception prints double-sided copies, whenever possible, and creates recycled notepads with used copy paper. All hotel stationary and collateral, including brochures and rack cards are printed on post consumer recycled paper stock. Staff are encouraged to bring in used household batteries (in addition to ones that are used in the hotel operation) and the hotel pays to have a local company collect them and properly disposed of them. Day old breads and pastries are donated to a local school to feed children who dont get enough to eat for breakfast. To support local growers and reduce transportation impact, Haros Restaurant + Bar features seasonal and regionally inspired menus. Haros seafood menu items are selected in support of sustainable fishery practices and the Vancouver Aquariums Ocean Wise conservation program and local ingredients are used whenever possible. Haro's chefs need only walk out to the back garden for fresh herbs, lettuces and edible flowers.